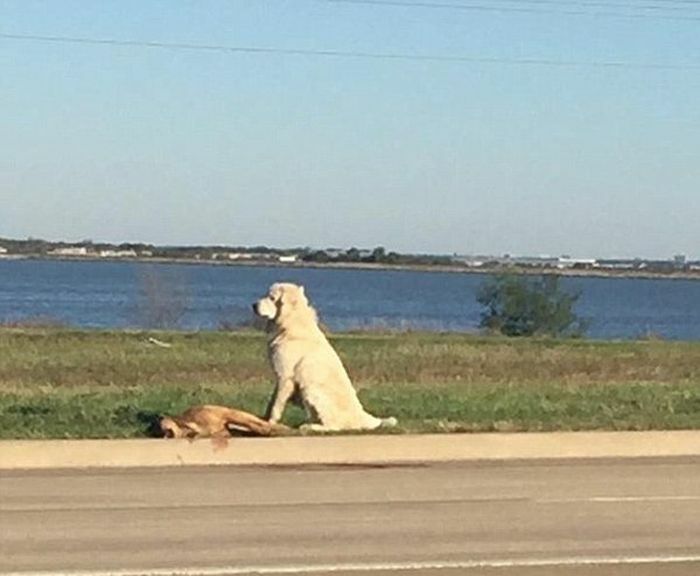 This Dallas dog would not leave his friend's side after he was hit by a car. 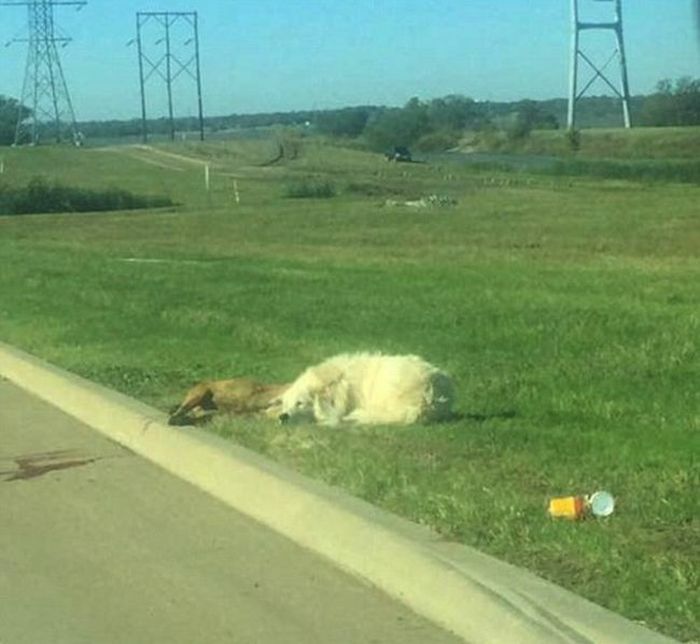 Volunteers rushed to help the dog's friend but unfortunately they were too late and he passed away after being hit. 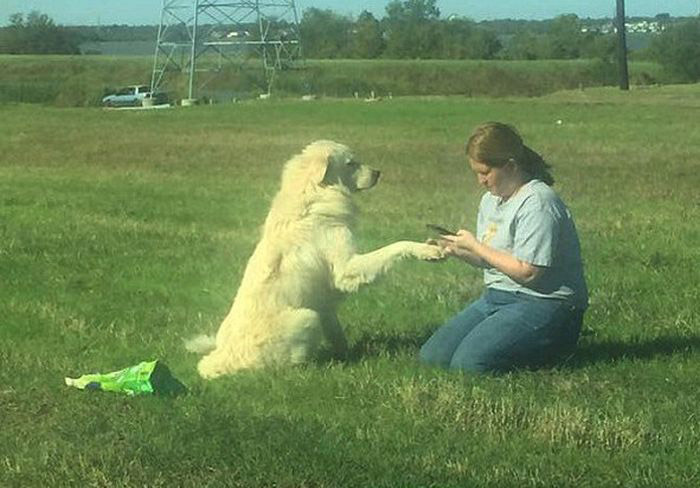 That dog is at least partially a Great Pyrenees. They are an ancient breed known for their loyalty and protective natures. 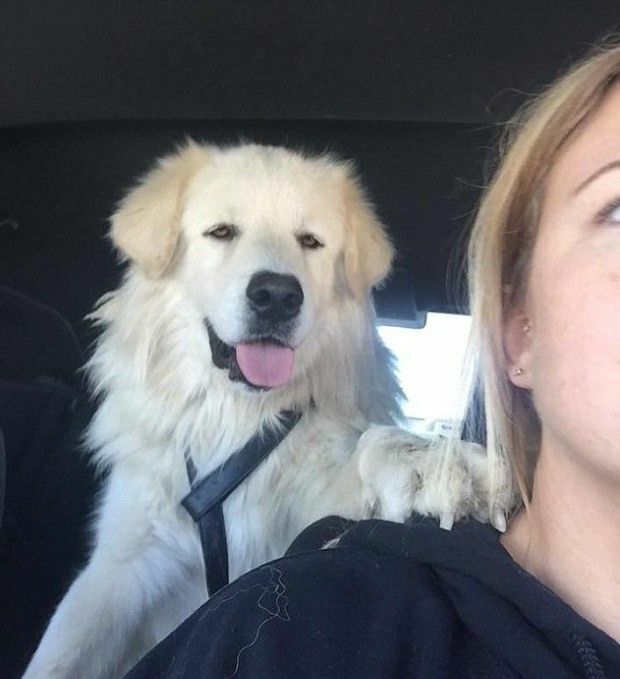 They are great protectors of flocks, whether sheep or human families, and it seems of their canine friends, too. Miss the big picture much?